Atlanta, August 19th, 2016: YuppTV, the largest OTT player in South-Asian content, has today announced a new partnership with Telstra to launch the YuppTV streaming service on Telstra TV. This will give South Asian audiences in Australia the ability to subscribe to YuppTV on Telstra TV and access 250+ LIVE TV channels, catch-up TV on demand, together with the largest Indian movie catalogue, YuppFlix, providing over 5000 titles from Bollywood and regional languages. Until the end of October, new YuppTV subscribers that sign up on Telstra TV will receive an exclusive 30 day free trial offer with access to all the great content YuppTV has to offer. Data usage applies. The announcement comes as YuppTV has recently extended the collection of languages on the platform, now allowing users to enjoy on-demand video content in Sinhala, Urdu and Bangla. YuppTV is one of the world’s largest internet-based TV and on-demand service provider for South Asian content, offering more than 250+ TV channels, 5000+ Movies and 100+ TV Shows in 13 languages. YuppTV has 25000 hours of entertainment content catalogued in its library, while nearly 2500 hours of new on-demand content is added to the YuppTV platform every day. YuppTV offers Live TV and Catch-Up TV technology. YuppTV has its presence in more than 50 countries. It has recently launched YuppFlix, a movie on demand streaming service for the expat Market and YuppTV Bazaar an online marketplace for the premium content curator. YuppTV is currently the #1 ranked internet Pay TV platform for Indians living abroad and also the largest Internet TV platform from premium content availability in India. YuppTV is the most downloaded Indian SmartTV app and it also boasts of 8 million mobile downloads with 4.0 user rating. 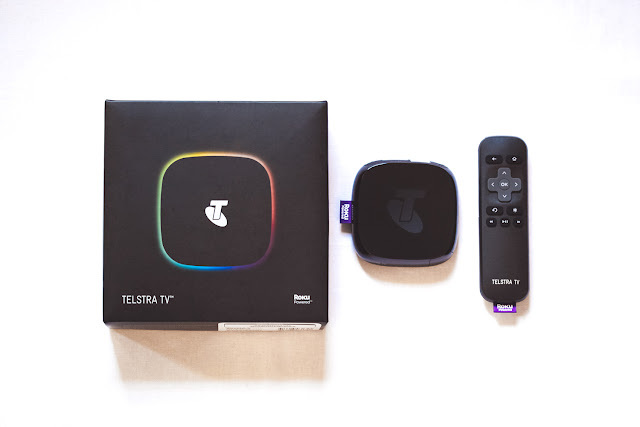 Telstra TV is the simple way to watch your TV on demand, stream and catch-up on TV and movies, and even connect your own media. Telstra TV has its own app store where you can download a wide range of subscription apps including all three streaming services, Netflix, Stan and Presto, as well as rent or buy* blockbuster movies to stream through BigPond Movies. In June 2016, there were over 200,000 households across Australia enjoying the Telstra TV.